Award Year: 2007 Many Americans strongly oppose the idea of "government-run" health care, preferring market-driven strategies for solving the problems of the U.S. health care system. Yet, over the last decade, the federally financed Veterans Health Administration (VHA) has become one of the great success stories of health care improvement in America. How did the VHA, a massive, government-operated health system, rescue itself from congressional threats of overhaul and privatization? And how did the VHA become a model of high-quality, lower-cost care that now surpasses Medicare and private health plans on many quality measures? Shoou-Yih Daniel Lee, Ph.D. and Bryan Weiner, Ph.D. probe these questions in their case study of the VHA's success. Using a framework of "punctuated change," Lee and Weiner explore how VHA's leaders and management responded to Congress, overcame organizational inertia, and set a new course. Their project, Transformation of Government Health Care: Experience of the VHA, considers the importance of leadership, the paths and pace of change, internal and external resistance, and the leverage points that help move change along. Their findings should provide a clearer picture of how the VHA became a quality-driven health system and how other public and private health care systems might use the lessons of its success. Bryan Weiner is an associate professor in the department of health policy and management in the school of public health of the University of North Carolina at Chapel Hill (UNC); and director of the program on health care organization at the Cecil G. Sheps Center for Health Services Research. His research interests focus on the adoption, implementation, and sustainability of innovations in health care organizations. He has studied a wide range of innovations including quality improvement practices, care management practices, patient safety practices, clinical information systems, collaborative service delivery models, and evidence-based diabetes practices. 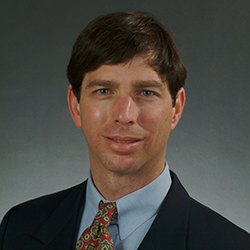 Presently, he serves as Principal Investigator of a five-year study of the implementation, impact, sustainability, and business case of the National Cancer Institute's Community Clinical Oncology Program (CCOP), a national provider-based research network that the National Institutes of Health sees as a model for disseminating and implementing evidence-based clinical services in community-based practice settings. In addition, he serves as the co-director of the newly established Dissemination Core of the Lineberger Comprehensive Cancer Center at UNC, and the co-director of the Health Policy/Dissemination of the NCI-funded Carolina Community Network to Reduce Cancer Disparities. His paper with co-PI Daniel Lee and Halle Amick, "Conceptualization and Measurement of Organizational Readiness for Change: A Review of the Literature in Health Services Research and Other Fields? won the 2008 Best Article of the Year in Medical Care Research and Review. Weiner, B.J., Amick, H., Lee, S.Y. Conceptualization and Measurement of Organizational Readiness for Change: A Review of the Literature in Health Services Research and Other Fields. Medical Care Research and Review, 2008, 65(4): 379-436.